 The Scene Magazine - Page 4506 of 4579 - What's up Toronto? Comments Off on JIMI HENDRIX – Are You Experienced? Posted by Darrell on Dec 21, 2011 in Classic Albums | Comments Off on JIMI HENDRIX – Are You Experienced? American release – 1967, Reprise Records. Produced by Chas Chandler. All songs written by Jimi Hendrix except “Hey Joe”, written by Billy Roberts. A great debut album put out by Jimi Hendrix, although the US and British releases were different from each other. My review is of the old US vinyl record, which I still have a copy of. The album kicks off with one of my all time favorites Hendrix songs, “Purple Haze”. One hell of a powerful song with a real clean guitar played by Jimi. Yet another Hendrix favorite of mine is found here as well, “Foxey Lady”, it’s the best song on the album with Jimi’s outstanding command of the guitar evident once again. But there are other gems on this LP too: “Hey Joe”, with it’s outlaw like rock lyrics and smooth guitar riff; the far out psychedelic title cut “Are You Experienced? ” is another ten, and so is “Fire” with it wild maniac guitar. Not to be forgotten is the more mellow tune “The Wind Cries Mary”. Some of the other slower songs may not be as hot, but his guitar is – on every song. I don’t think you can purchase this original US album new any longer, but the combined US and British versions are available on one CD. Do check it out, included in the new combo release are songs like “Stone Free”, “Highway Chile”,and the great blues number – “Red House”, this song alone is perhaps better than any of the songs found on the US release.